POP INTERVIEW: Finn Riggins' Husband and Wife Bandmates Talk Songwriting - POP GOES THE WEEK!! If you fight with your wife over who bought the worst canned tuna ever last weekend, consider yourself lucky: at least you aren’t arguing over creative differences! Finn Riggins is made up of husband and wife, Eric Gilbert and Lisa Simpson, with drummer Cam Bouiss. The band is inspired by The Cars, John Hartford, Hello Shark, World’s Greatest Ghosts, Jared Mees and the Grown Children and Built To Spill. And that isn’t all of the artists they named! “Our first couple mini tours were done in a full size 1968 Gillig school bus that our drummer owns – it was bigger than most of the venues we were playing at that time. on our 80 day US tour in spring 2010 we only stayed in hotels twice, slept in our van 7 times, and otherwise were graciously hosted by amazing and generous people all over this great country. that’s been the case on most of our tours, and we can never thank all these great people enough,” Eric, the keyboardist, said via e-mail. His wife, Lisa, takes lead singer duties. “We work in collaboration for the majority of our songwriting. Each song is different, but usually there is an idea brought in by one of us, either a section or a more completed song form. Then we work on it together, fleshing it out, trying different things. Sometimes it goes back to get refined outside of the group. Sometimes songs just pop up in the practice setting. We are able to push things, try things as a group, and then to step back and edit. Our previous albums have been recorded as “live” as possible, We are looking forward to more studio time as we work on our current projects. I’ve always enjoyed music, always sung. I started playing guitar when I was 16. It was just natural for me to do this. I played piano and flute as a girl, and was involved in band and choir throughout my public school years. I went onto study voice in college, and got my masters degree in music history,” she wrote. ” I played a little bit of piano as a kid, but really didn’t dive in until college. Music and live concerts bit into me hard and never let go when i was 18 or so. I didn’t necessarily choose to get into the “music industry” per se, just kept playing music because of a deep deep love for music and the community building around it. Over recent years, I have reconciled the need to make a living as well and have enjoyed the challenge of finding a way to still make the art i love, and play live music in all kinds of unique situations while being able to make ends meet. Thus, i am now part of the “music industry” and although hard to actually make much money, it is incredibly rewarding in so many other ways that all the hard work is more than worth it,” Eric said. If you want to catch this great indie band live or download their songs, visit finnriggins.com. Destiny’s Child Is Back With A Brand New Song! VIDEO: Justin Timberlake Announces His Plan For New Music With Dark, Moody Video. 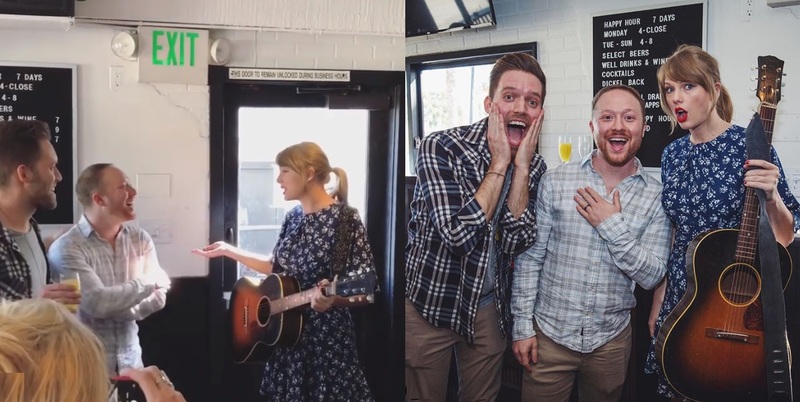 VIDEO Taylor Swift Gives Surprise Performance At Couple’s Engagement Party. YIKES VIDEO: Paula Abdul Falls Off Stage During Performance. 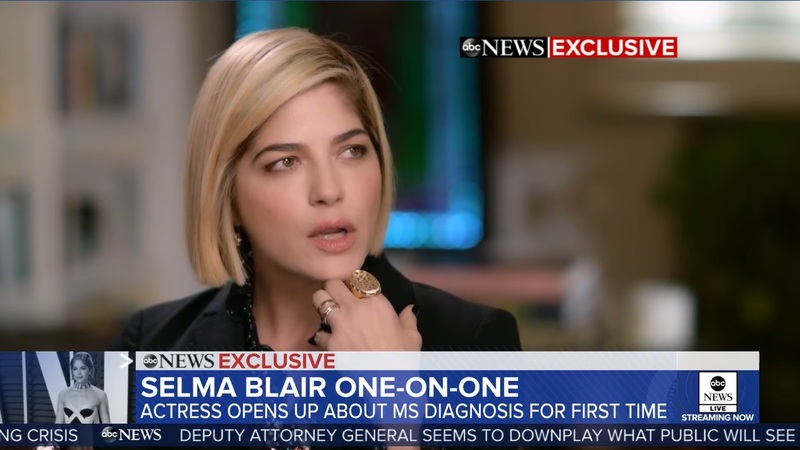 In a powerful interview with GMA’s Robin Roberts, Selma Blair faces the interview head on, even while in the midst of an MS flare up. The 46 year old actress has not been seem much since revealing her diagnosis on social media, only to stun fans and photographers looking gorgeous on the red carpet of the Vanity Fair Oscar party. Days before she had given the interview, indicating that Blair is ready to talk openly about her disease. The interview is a testament to her strength, as she spoke articulately and openly about what it has been like for her. “I was a little scared of talking, and my neurologist said ‘no’ – this will bring a lot of awareness because no one has the energy to talk when they’re in a flare up,” she confessed. “But I do, because I love a camera!” she joked. This legitimately got me choked up. Judge Frank Caprio is a municipal judge in Providence, Rhode Island whose cases often go viral, generally as a result of his compassion and empathy. Based on this clip, it’s clear that they’re traits he has possessed for more than a decade. A defendant arrives to fight a parking ticket, but also to think the judge for changing the course of his life. Even the judge can’t help but be moved. Wendy Williams And Kevin Hunter Give Back Year Round – Now You Can Help Too. The event on this cool November evening was teeming with children and families. Sponsored by Wendy and Kevin, she brought in many of her friends to help serve countless meals and provide free bowling and toys for all. But that’s just a small part of what they’re doing. Williams understands how tough it can be growing up. “I had a very tortured childhood,” she once told ABC news. What she is doing now is an effort to help make lives for kids as much easier as she can. Her “Summer Campership” is part of that effort. As a little girl, Wendy remembers the fun she had at summer camp. She learned how to swim, and enjoyed hiking, outdoor sports, and campfire songs. But more importantly she learned what it was like to be independent. Her Summer Campership program provides girls ages 10-16 a chance to experience the outdoors for 13 straight days. The foundation works with non-profit community-based organizations that qualify and refer girls who come from families that cannot afford to send their girl to camp. In order to help all theses programs thrive, she’s asking for your help: From November 21st to January 3rd, The Hunter Foundation will be participating in the Newman’s Own Foundation $500,000 Holiday Challenge on CrowdRise.com. If they raise the most money during the entire challenge, The Hunter Foundation wins the grand prize of $150,000 Smaller cash prizes will be award to charities during weekly bonus challenges. Donors can support Wendy and The Hunter Foundation by CLICKING HERE.